Breaking News – (UPDATED) Missing Girl with Nokia now back with Family! Police have located the latest missing girl. 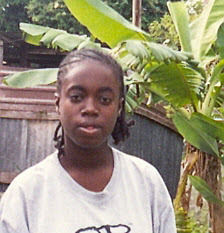 Crystal Dominique Harvey, 17 yrs, of Ellis Road, Bush Hall, St. Michael returned to her family and the circumstances surrounding her disappearance are under a probe. You’ll recall that there was a notice on 9th May, that the student from Samuel Jackman Prescod Polytechnic disappeared on the morning of 08-05-2007 and was not seen until the evening of that same date. Previous: « (Shameless Plug) Calling all Barbadian Salsa Dancers or Learners – New session to start soon in Worthing!